Real foodies have no problem traveling near and far for amazing food and drinks. For me its a no brainer. I love to try new dishes when I’m traveling. 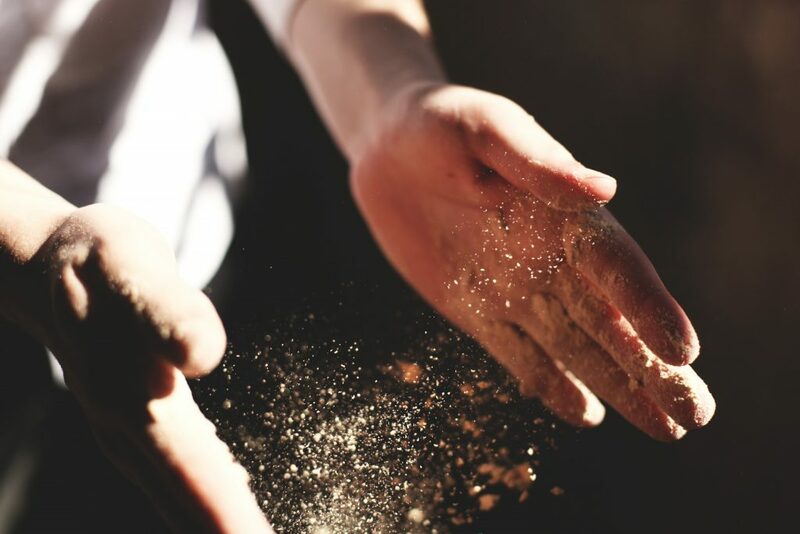 Different destinations have certain ways they like to create, especially with the historical aspect of the destination, the location and the diversity of the cooks. One place that I’ve traveled to and fell in love with the food was Gulf Shores, Alabama. 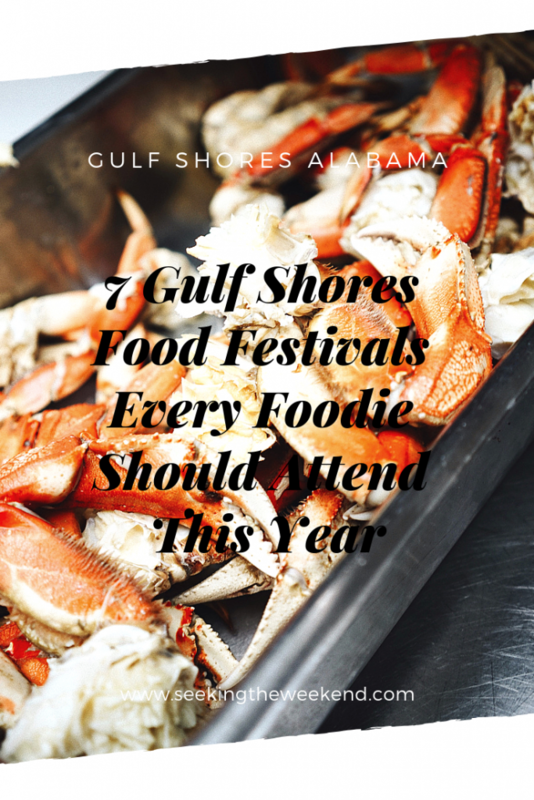 Today I’m sharing with you 7 Gulf Shores Food Festivals every foodie should attend this year. Before we indulge in the Gulf Shores Food Festivals, first let me give a quick background on Gulf Shores. It’s not just food that should bring you to this beach town. The actual incorporation wasn’t until 1958,making this once fishing community a young area. 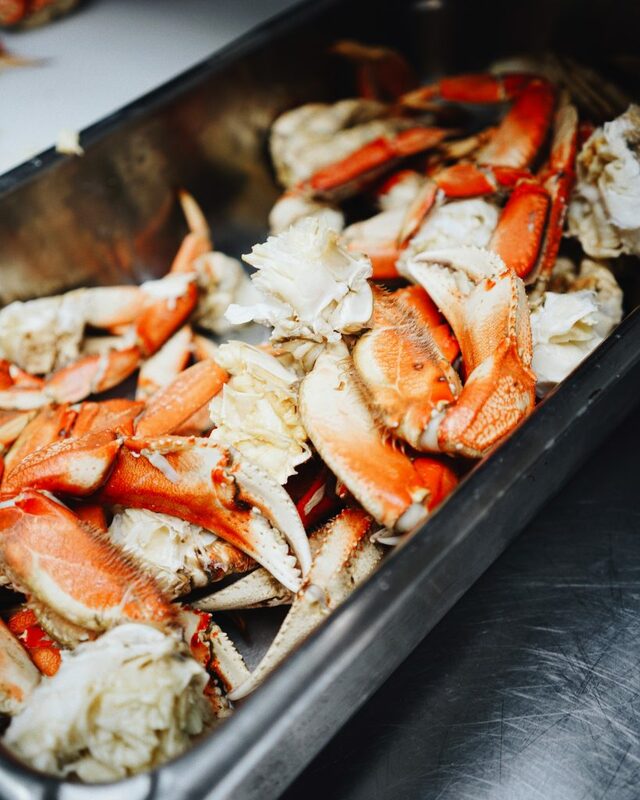 Even though the fishing community has depleted since it first began in the 1800’s, that doesn’t mean you’re not going to get some of the freshest seafood you’ve ever ate. The area now thrives on tourism since the completion of the Intercostal Waterway and Gulf Shores State Park in the 1930’s. Gulf Shores has some of the most amazing beaches, parks, fishing and resorts. Personally, it is one of the most relaxing places I’ve ever visited. If visiting from Atlanta, it’s a short 6 hour drive away. With all that being said, let’s dig in. View some of Gulf Shore Alabama’s most talented food artists as they perform demos and challenge each other. You can taste some of Gulf Shore, Alabama’s dishes created by the areas most renowned chefs. There will also be more than 100 wines ranging from vineyards both local to imported. If wine is your favorite pastime, this event is one you won’t want to miss. Especially with samples being offered. Other activities you can enjoy at The Wharf Uncorked Food & Wine Festival is; silent auction, music, and cookbook signings. Proceeds of the silent auction go to Make-A-Wish Foundation. If you want to grab your tickets to this September 12, 2019 event HERE. 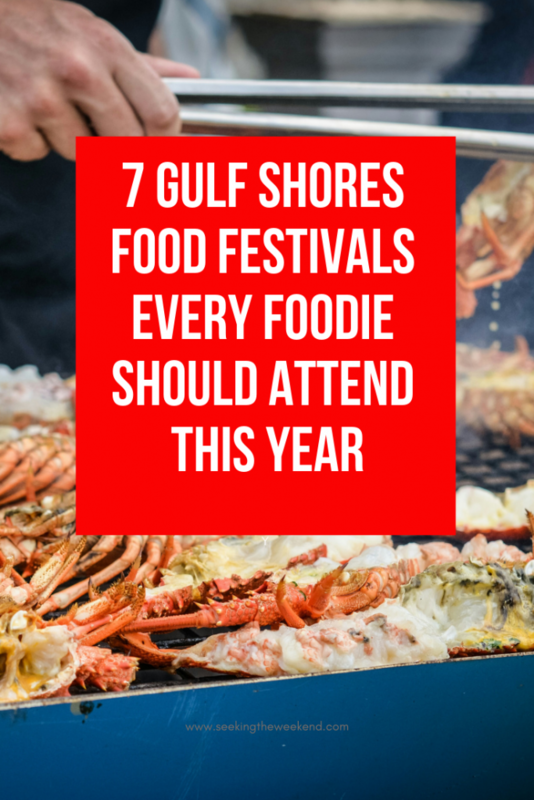 What other reason do you need other than the title of this Gulf Shores Food Festival event? 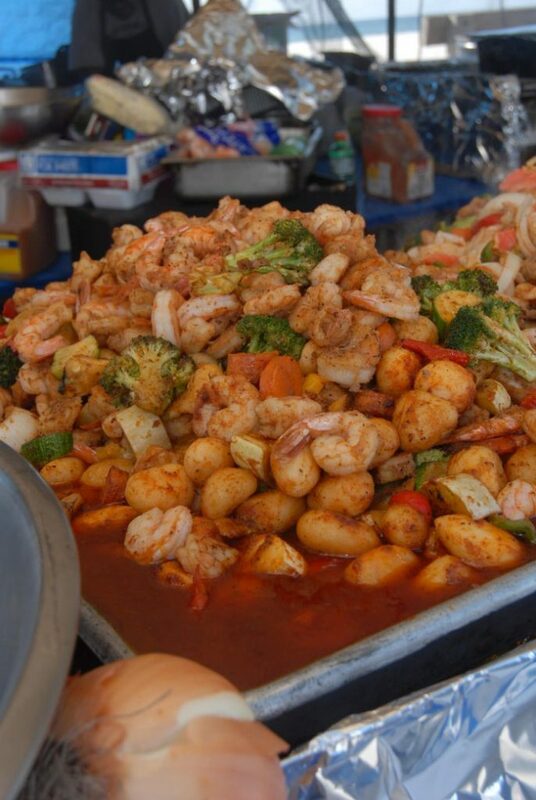 It’s a NATIONAL SHRIMP FESTIVAL! I just don’t understand what other information you need besides the date (by the way, it’s October 10-13, 2019). This event brings in the shrimp enthusiast around the area who like to partake in challenging each other with the best dishes. However, if you’re looking for steamed, boiled or fried shrimp then they totally have you covered. There are a lot of worthy reasons to go to The Hangout in Gulf Shores. They serve delicious dishes, it’s beach front and there is always something to do there (hence the name). One of the events that you won’t want to miss this year is the annual oyster cook-off & craft beer. This November event will have you thanking The Hangout in your Thanksgiving prayers. 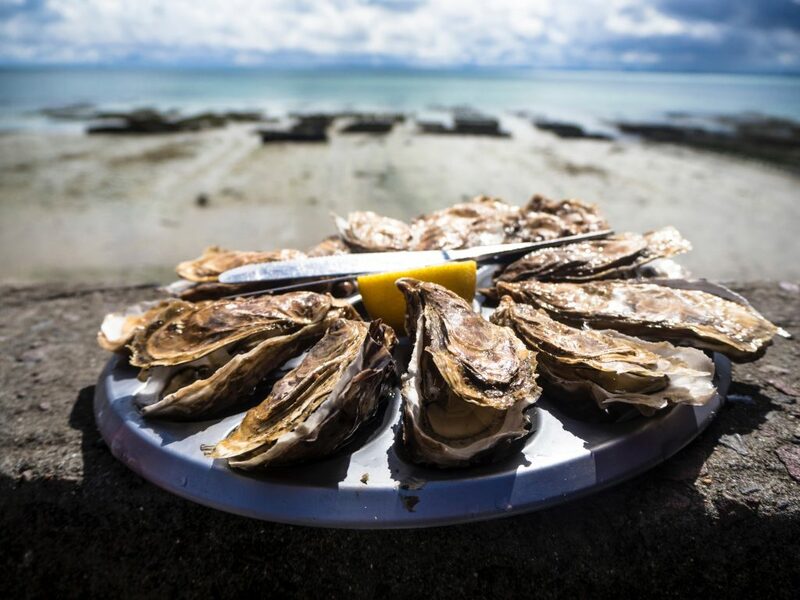 You’ll be able to indulge in oyster dishes created by some of the best chefs and restaurants in the Southeast. On top of that you can down your delectable eats with beer and spirits as you watch football on the TV, the waves gently crushing into the sand. If you feel lucky you can take a stab at oyster shucking contest. I mean, there is something for everyone. The haven’t include all the details for 2019 yet, but when they do you’ll be able to find them here. Two things that make their way to a mans heart; food and cars. Between classic cars, hot rods and the streets lined with food vendors, this event will not only keep you full but keep your day full as well. There is something for the whole family; kid’s zone, music and art makes this February food festival an excellent events for anyone. Held at the Wharf, you can get all the details by going to Orange Beach Seafood Festival & Car Show. The Original German Sausage Festival is a Gulf Shores Food Festival that my late German-American grandparents would have loved to attend. This 40 year tradition is held this year on March 30th and October 26th. The festival brings in around 20,000 German food loving enthusiast. Some of the food you’ll be able to eat at The Original German Sausage Festival are (besides German sausage and sauerkraut); stuffed cabbage, goulash, potato salad, and rice & beans. While eating, you’ll be able to hear the sounds of some German favorite music like, polka music along with German music and country. This is a family friendly event. There will be entertainment for the kids and art booths from more than 250 artist. Admission to this event is free. This event is truly Southern. 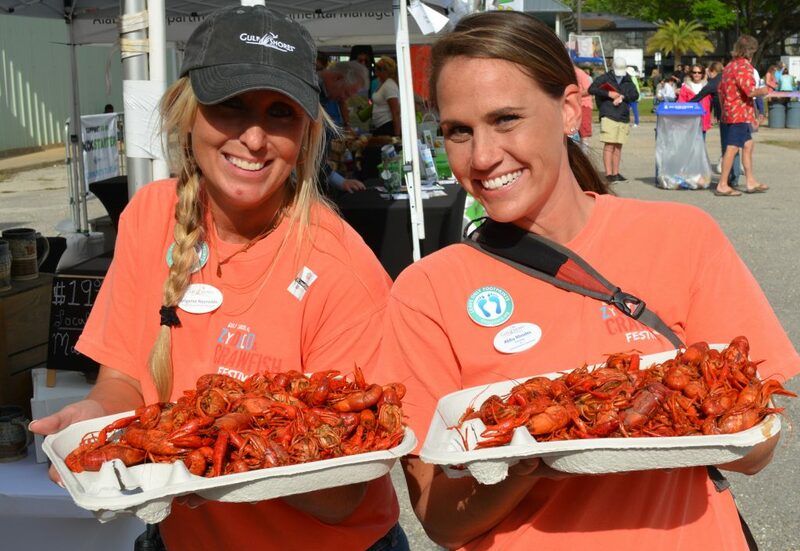 Crawfish is one of the gulf shores favorite things to eat so why not hold a festival that’s all about it? This marks the 5th year that the festival has taken place that begins its day with a 5K. Around 10 AM, the pots will begin to boil. I mean, after a run I think you deserve to dig in to some delicious crawfish boil. The event is packed with entertainment for the whole family from music to kid’s activities. The Waterway Village Zydeco & Crawfish Festival is held on April 20, 2019. Want more info? Head over to Gulf Shores for more info. The Festival of Flavor takes place prior to the World Food Championship that is held at the Wharf in November. The food competition allows the competing chefs the place in the World Food Championship, where they could win $100,000!! During the Festival of Flavor, you can sample food from the competing chefs, plus other area restaurants, breweries, wineries and mom-n-pop shops. So which Gulf Shores Food Festival are looking you forward to this year? The seafood kind of has my heart, but I love the atmosphere of The Hangout. I think I may have to flip a coin on this one. Want to save for later? Don’t forget to Pin it!